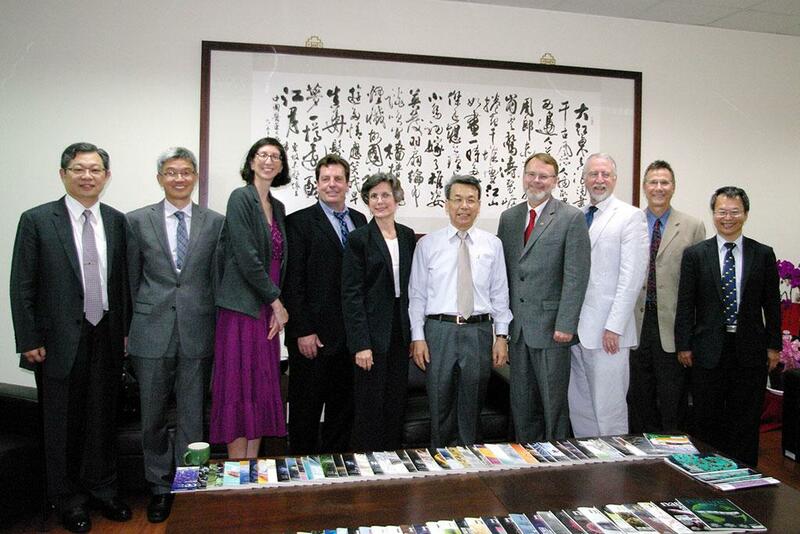 A group of leaders from the Arnold School of Public Health, School of Medicine, and Office of the Provost/Global Carolina Program spent nearly two weeks overseas this summer, fostering relationships with several health sciences universities in Taiwan and mainland China. The USC representatives included Dean Thomas Chandler, Associate Dean of Research Alan Decho, former Associate Dean for Academic Affairs Cheryl Addy (now Vice Provost and Dean of The Graduate School), Health Promotion, Education, and Behavior Chair Daniela Friedman and SmartState Endowed Chair Xiaoming Li from the Arnold School, Vice Provost and Director of Global Carolina Allen Miller, and the School of Medicine’s Chair of Internal Medicine, Helmut Albrecht. Building on existing relationships, the purpose of the trip was to develop collaborative partnerships in the areas of student and researcher exchange programs and dual academic degree offerings. They also worked to solidify connections through memoranda of understanding between USC and the institutions they visited. “All of the universities we visited have high interests in public health education, outreach and research. Our ultimate goal is to explore opportunities within these areas and establish partnerships to meet these needs. 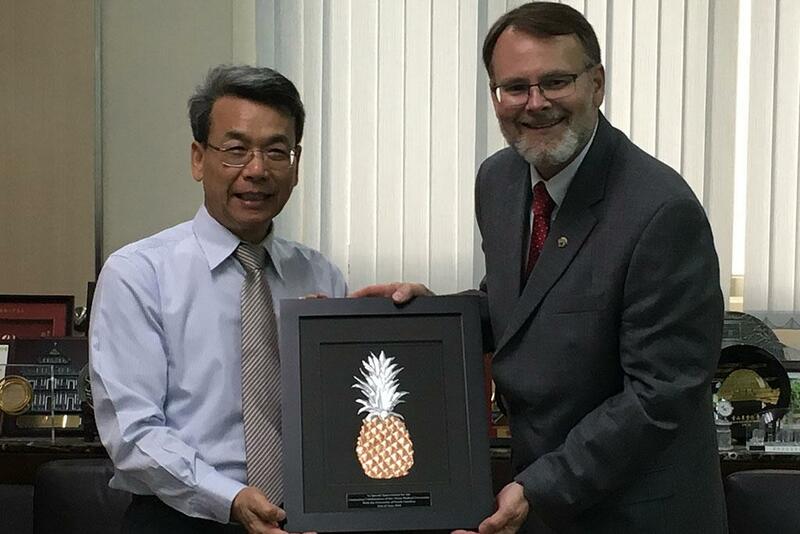 During the first leg of the trip, which took place in Taiwan, they visited the College of Public Health at National Taiwan University in Taipei and the China Medical University in Taichung. 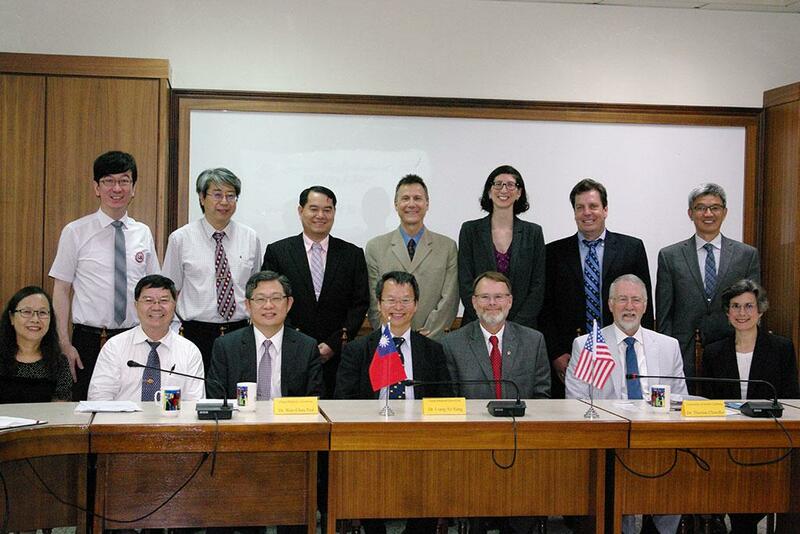 At National Taiwan University, the USC team met with public health leaders and the office of internal affairs to discuss shared endeavors, including a joint conference and a possible summer program for Science, Technology, Engineering and Mathematics (STEM) majors. At China Medical University, they signed a three-plus-two agreement for a dual degree master’s in public health program and dual master’s/Ph.D. degree. 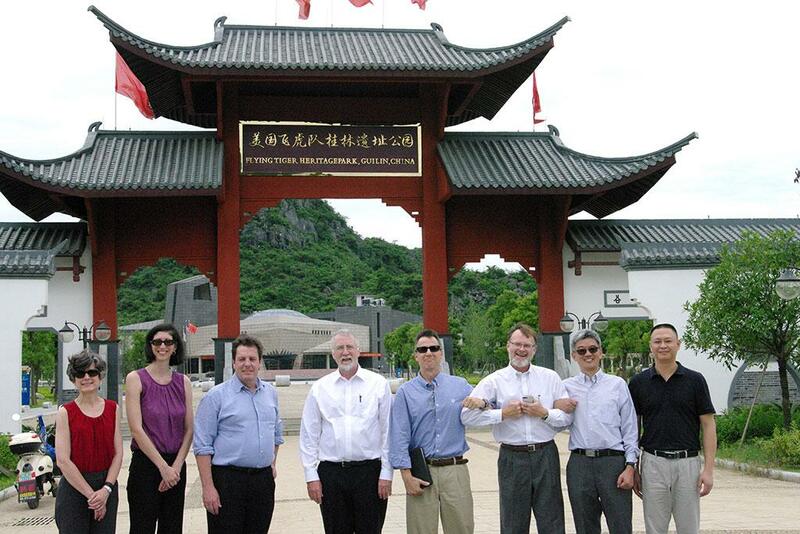 After their visit to Taiwan, the group traveled to mainland China to visit Guangxi Medical University, Guilin Medical University, and Nanjing Medical University. The team discussed collaborative partnerships through dual degree programs and joint research initiatives with these universities as well. 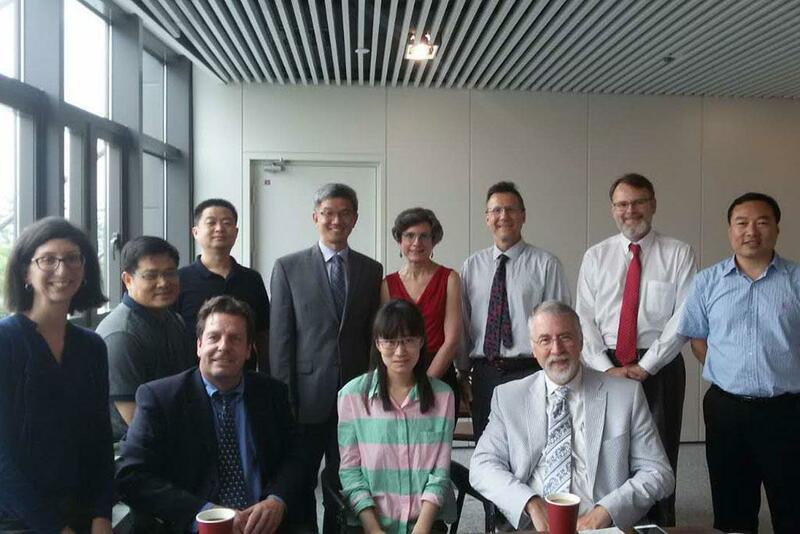 In addition to these formal visits, they also met with faculty and leadership members of Peking University School of Public Health in Beijing, Beijing Normal University, and the Chinese Center for Disease Control and Prevention in Beijing. We’re working to establish a comprehensive vision of international presence by USC in strategically identified locations around the world. USC leadership spent two weeks in Taiwan and mainland China over the summer to expand partnerships with several key universities.